Advantage™ 56” foosball table with Goal Flex™ from American Legend. 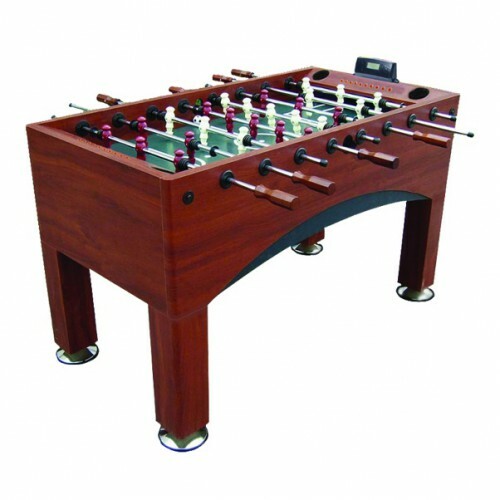 This traditional style table is 29-1/4” W x 55-1/8” D x 35”H when assembled with a 3/8” playing field. This table features American Legend’s patented Goal Flex™ technology, which allows players to adjust the width of their goal electronically, so players of different skill levels can play together on a competitive level.